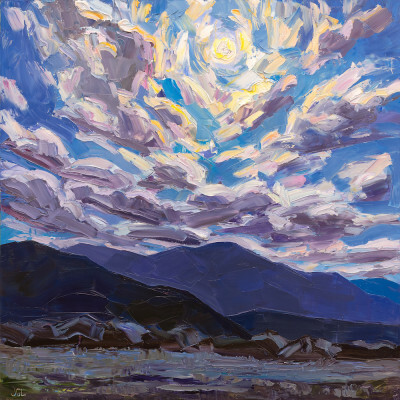 Altamira Fine Art Scottsdale is pleased to present a solo exhibition for Taos artist Jivan Lee. "By the Wayside" opens on February 5th and runs through the 24th. Please join us for the Artist Reception on Thursday, February 8th from 6:30-9pm during the Scottsdale ArtWalk. The show will feature over a dozen works in oil, ranging in size from 16 x 12 to 48 x 120 inches. The paintings in "By the Wayside" celebrate aspects of nature and the environment fading with the passing of time- elements of the landscape that seem to be cast aside, or forgotten, yet possess a quiet beauty. A featured piece, "The Old Apple Tree", measures 48 x 72 inches and is full of character and history- having stood for over 100 years in an overgrown lot. Jivan paints on-location from direct observation, attempting to relay the unique sentiment of each moment and place that inspires his work. The resulting paintings transition between abstract fields of color, topographical planes, and recognizable imagery; one can discern actual places and things in each piece, but simultaneously see that these images arise from paint - tangible substance - applied in bold, colorful, celebratory passages. Pre-sales available. Call (480) 949-1256 for more details. Jivan Lee is an oil painter based in Taos, NM. He grew up in Woodstock, NY and studied painting at Bard College. His work explores the nature of paint as raw material, creator of image, and catalyst for emotional response, and is increasingly addressing the complexities of how humans see and shape their environment. His paintings are rhythmic, colorful, textural responses to the Western landscape in its many forms, from untrammeled wild lands to urban machinery to iconic chapels. 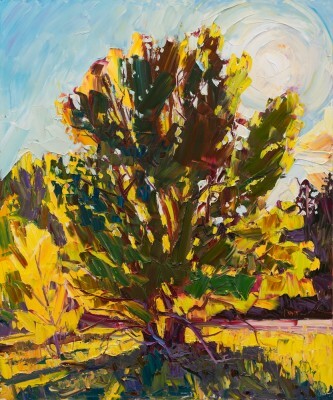 They’ve been exhibited nationally at museums and educational institutions and covered in publications such as Fine Art Connoisseur, Southwest Art, Western Art Collector, Art Business News, and Plein Air Magazine among others. In addition to painting as much as time allows, Jivan occasionally teaches and continues work with his Project for Art and the Environment. Jivan was named an artist to watch by Fine Art Connoisseur in February 2016 and his work was featured on the cover of Southwest Art Magazine’s February 2015 annual landscape issue. Phoenix Home and Garden Magazine published a six-page feature on his work and process, “A Respect for the Land,” in December 2016. 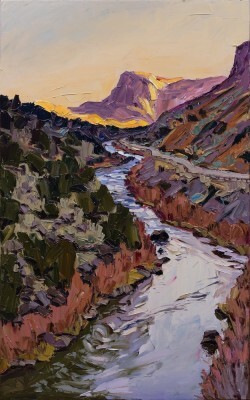 Selected recent exhibitions include the 2017 and 2018 Coors Western Art Exhibit & Sale in Denver, CO, where Jivan won the Fine Art Connoisseur award for excellence two years in a row, and New Regionalisms: Contemporary Art in the Western States, an exhibit curated by art critic Michael Paglia at the McNichols Building in Denver. Jivan’s paintings are in corporate and private collections nationally and internationally.